The eagle tribe's king, Ewald. 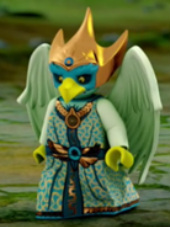 The eagle tribe is one of the six tribes of chima. This tribe, like the lion tribe, is ruled by a king. It has a council and a king and also a huge palace, They are great friends of the lion tribe.